drought | Real in L.A.
My complaint was that the spread of gravel substituted for grass might have met the letter of the California Friendly® Landscape Incentive Program, but not its spirit. Granted, the new yard had a few drought-tolerant plants scattered about. 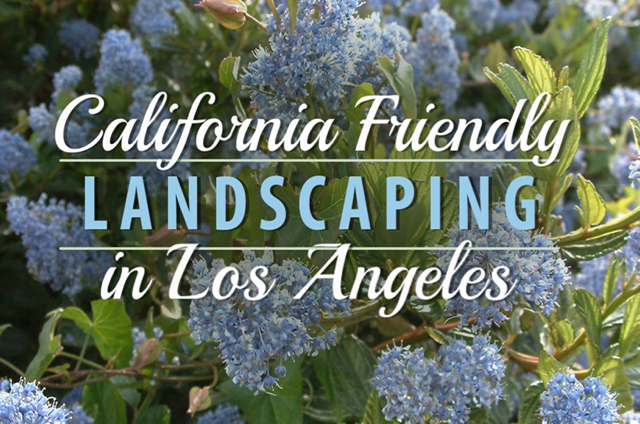 They were hardly enough, however, to create the “friendly landscape” promoted by the Los Angeles Department of Water & Power and Metropolitan Water District. Those rocks would not convert CO2, a greenhouse gas, to user-friendly oxygen or be good at capturing rainwater. In fact, they would absorb heat and increase temperatures. Bloomberg Businessweek recently featured an investigation into what the two water agencies got in return for their $428 million incentive program. The story focused on the work of a company called Turf Terminators that banked 12 percent, $44 million, of that pot o’ gold, the largest single share. Turf Terminators was created by a couple of 20-something entrepreneurs who jumped into the program just as the MWD raised its rebate from $1 to $2 a square foot in 2014. 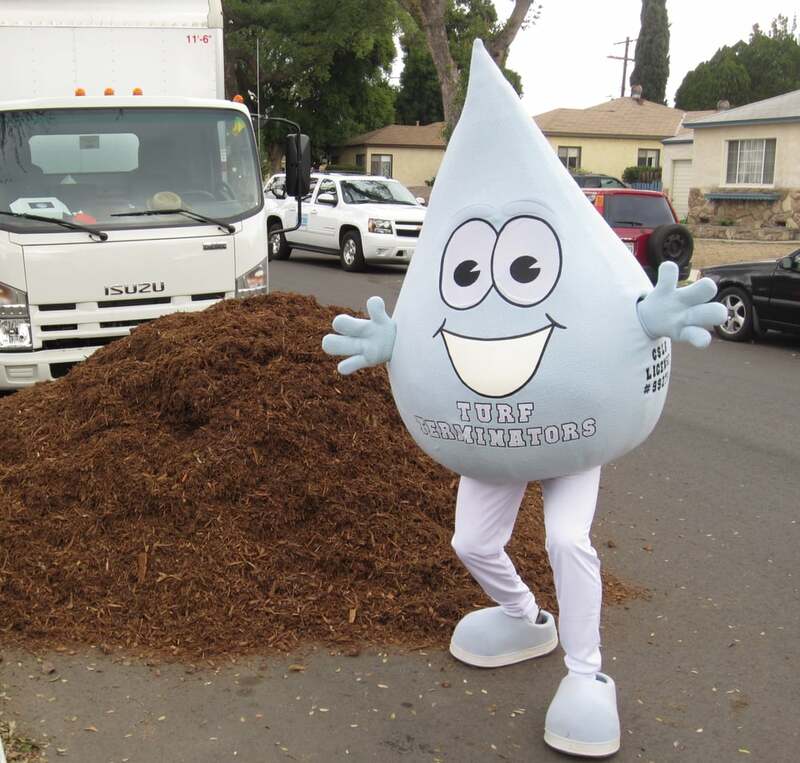 City residents can get an additional $1.75 from the LADWP for a juicy total of $3.75 for every square foot of lawn removed. The company’s pitch to homeowners was that in return for rights to whatever rebate was owed them, Turf Terminators would replace their lawns for free. And Turf Terminators would even handle the paperwork. Technically, the company should not have been in the rebate game: Landscapers were required to be in business three years in order to participate. Turf Terminators solved this problem by buying out a contractor who’d been around for a while and, presto change-o, the subsidies began to flow. Turf Terminators claimed that in less than two years, it removed 16 million square feet of grass from 12,000 lawns. Not everyone was happy with the results, however, and they vented on Yelp. This lament from a Porter Ranch homeowner was typical. So here’s the deal: before you hire anyone to rip up your yard consider the implications of what that means. Your front yard will look like a crappy gravel parking lot or an abandoned drive-in theater. If your grass already looked bad then this just might be an improvement. Not the case for me. My, once, lush beautiful green yard now looks like it’s only missing an abandoned car on blocks then the image would be complete. Having a gravel yard hasn’t saved me any money. My LADWP bill is pretty much the same. I can’t say for sure if my neighbor’s yard is a Turf Terminator creation, but it fits the profile: a few plants, a lot of gravel, and, over time, weeds poking up through a supposedly impermeable barrier. Customers also reported broken drip irrigator controls and plantings that failed to thrive, even after multiple replacements. The MWD was well aware of these problems. Emails obtained by Businessweek through FOIA requests show that MWD staffers “griped about the slapdash nature of the of the [rebate] applications.” Lawn sizes looked inflated and photographs didn’t match what was at the listed address. Staff also knew about the quality control issues. When a city councilman invited media outlets to observe Turf Terminators replacing his lawn, an MWD resource specialist took a look at photos of the new yard and compared the dense plantings there with a redone yard in her own neighborhood. “They obviously knew the job was at a council person’s, because it doesn’t look like any other project out there,” Businessweek quotes from her email to the program director. Gardens and lawns act as air conditioning for L.A., which is only getting hotter with climate change. Plants and trees provide shade and transpire moisture to cool the air; gravel and artificial turf don’t. In fact, they create the opposite of a virtuous cycle: Fewer plants means more heat, and more heat means faster evaporation from watering, swimming pools and vegetation. More heat also means more water to support the same landscape. Yet the MWD board went ahead and committed an additional $340 million without any requirements on how lawns should be replaced or with what. 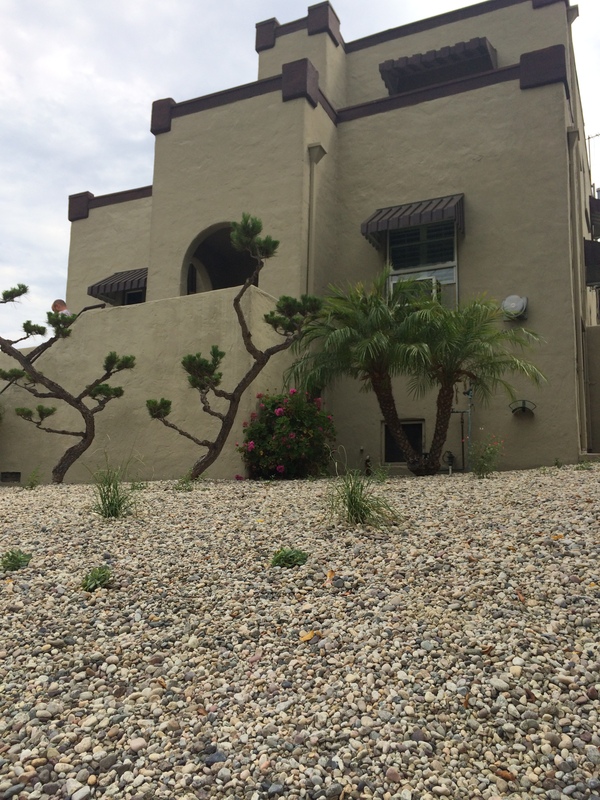 A week after the MWD turned off the rebate spigot, Turf Terminators announced it would accept no new customers. The company completed jobs already “incentivized,” then laid off most of its 450 workers. As criticisms of their work grew, the company subsequently hired a public relations firm that calls itself “a leader in crisis management of all types.” Businessweek’s request for an on-record interview with Turf Terminators principals was refused. The men behind Turf Terminators have not exactly folded their tents and slipped away into the night. Rather they’ve formed a new company from the ashes of the old: a contractor services firm called Build Savings. Its website invites homeowners to hire Build Savings to install “money saving home upgrades. The LADWP provides rebates for some elements of such upgrades. Perhaps realizing that truth in advertising was warranted, that claim has been removed. You are currently browsing entries tagged with drought at Real in L.A..